The AMD Radeon HD 8350G is a processor graphics card in the AMD Richland APUs (A4-5150M). It offers only 128 VLIW4 shader cores (8650G: 384). The 8350G has no dedicated graphics memory, but shares the main memory with the CPU cores. The integrated UVD3 video decoder allows the full decoding of Multi-View Codec (MVC), MPEG-4 Part 2 (DivX, xVid), MPEG-4 AVC/H.264 and Adobe Flash HD videos. 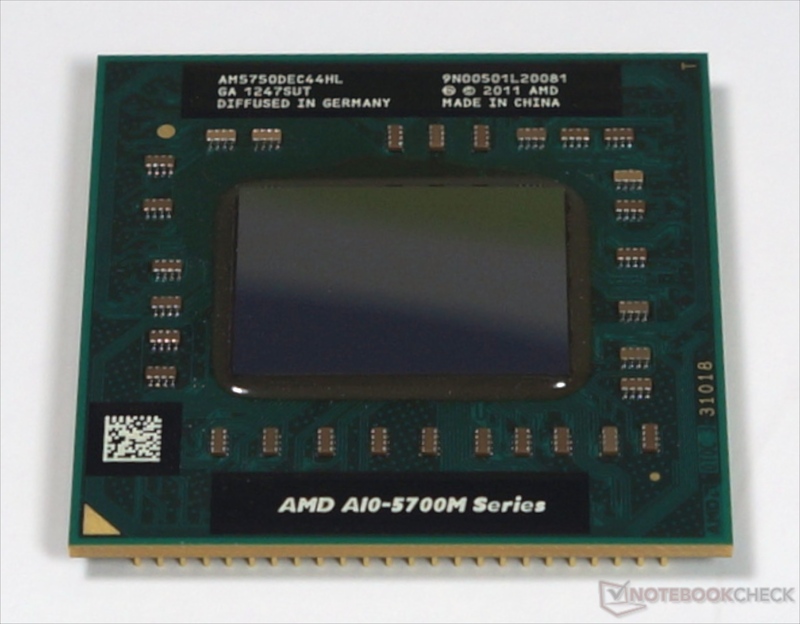 According to the clock rates of 514 - 720 MHz (Turbo), the performance is only a few percent above a Radeon HD 7420G. Thus, the Radeon HD 8350G performs similar to a dedicated Radeon HD 7450M. Modern and demanding games (2013) will be only playable in very low settings and resolutions. Without fast dual-channel memory the performance drops even more. The shaders of the chip can also be used for general computing. The APU is manufactured in 32nm and rated at a TDP of 35 watts. This allows the chip to be used in notebooks from 13 to 14 inches or bigger. The AMD Radeon HD 8650G is a processor graphics card in the AMD Richland APUs (for example, the A10-5750M). It offers the full amount of 384 shader cores (VLIW4 architecture) and is clocked at 533 - 720 MHz (or 600 - 720 MHz in the A10-5757M). The 8650G has no dedicated graphics memory and shares the main memory with the CPU cores. The integrated video decoder (likely UVD3) allows the full decoding of Multi-View Codec (MVC), MPEG-4 Part 2 (DivX, xVid), MPEG-4 AVC/H.264 and Adobe Flash HD videos. The performance of the 8650G is about 20 percent above the HD 7660G. Thus, the Radeon HD 8650G performs similar to a dedicated HD 7670M or NVIDIA GeForce GT 630M. Without fast dual-channel memory, however, performance drops dramatically. The shaders of the GPU can also be used for general computing. The APU is manufactured in 32nm and is rated at a TDP of 35 W. This allows the chip to be used in notebooks from 13- to 14-inches or larger.